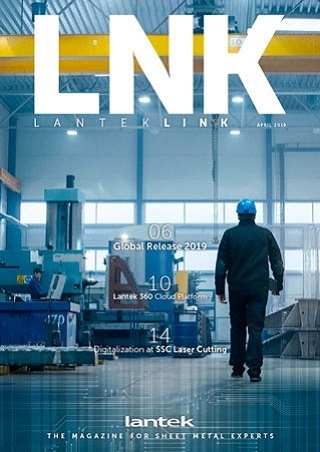 One of the mechanisms developed by Lantek, the simplest but also the most effective in many scenarios, is Masterlink, which allows the transfer of orders between the company and the existing management systems, with parts and orders in one direction and results of their execution in terms of costs and time. This mechanism is suitable for those companies that only need a link to perform this transfer of orders and results. A method for Importing through XML files. A module in Lantek Expert that allows the user to make the planning of jobs and the tracking of production orders. The communication between any ERP/MRP system and Lantek Expert is made possible by Masterlink through its import and export methods. All the required information for the realization of production orders will be provided to Lantek Expert by the importer. These production orders will be generated by the ERP system through the definition of XML files that meet the standards of the importer. Once production orders are nested or finished, Lantek Expert or Lantek Wos will take charge of generating the required information in order to allow the external ERP system to manage it.